How to unlock iPhone 4S permanently? Finally, after a long wait, it is now possible to factory unlock iPhone 4S without voiding your Apple warranty or repair services. That’s right, you wont need to use illegal software to jailbreak or hack your iPhone. Unlocking your iPhone 4S can be easily done now by submitting a request to Apple. This means that after your iPhone is factory unlocked, you will have the freedom and ability to upgrade your software version and firmware just as a normal iPhone user without the worry of your phone relocking again. 1)	You will have the ability to constantly switch between SIM cards allowing you to use your phone with as many service providers as you want. 2)	Avoid any roaming charges when traveling out of your normal coverage area by simply using a local SIM card and using your phone with a local phone number. 3)	Increase the selling value of your phone. After unlocking your iPhone, you open yourself to a wider market therefore increasing your ability to sell your phone. 4)	You will be able to avoid any unnecessary contracts with service providers. This means you will never need to be tied to a service provider contract. 5)	Use your phone with a service provider that does not offer iPhones with its standard contract packages. How to unlock iPhone 4S works? Simply provide us with your phone’s information at checkout. Once order is placed, we will submit a request to Apple for marking your phone in “Unlocked” status. We will then notify you by email once the process is done. Once your iPhone is in “Unlock” status, insert a SIM card you wish to use, and plugin the iPhone to a computer using a USB cable and lunch iTunes. iTunes will then realize that your iPhone is Unlocked and will successfully enable you to use the requested SIM card. 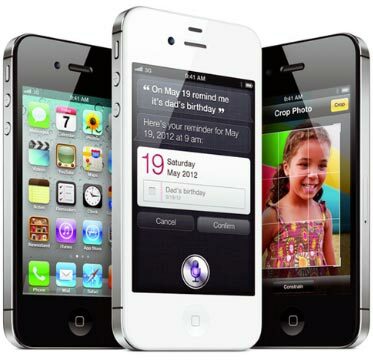 We also provide video instructions on how to unlock iPhone 4S. The process, as mentioned above, is a simple process that does not require any technical knowledge or understanding. Anyone can unlock iPhone 4S using this service. In case you have any questions or need assistance on how to unlock iPhone 4S, please feel free to contact us anytime. We are available 24X7.